Exciting times here at Eat and Dust. Those lovely people over at Gunpowder, purveyors of wonderful south indian food, recently asked me to ‘Guest Chef’ at their restaurant in Hauz Khas Village. My first reaction was to laugh long and loudly – not only have I never ‘guest cheffed’, in fact I wasn’t terribly clear what a Guest Chef is, I’ve never actually cooked outside my own kitchen. But then I started thinking – with the days getting shorter and the nights getting nippier, what about doing a cosy afternoon tea? The advantage of tea over any other kind of meal is that most of the food can be made in advance with the minimum of last-minute kitchen drama. Astonishingly, Satish, Gunpowder’s laid back chef/proprietor was up for it so for the last few weeks my friend, and now co-‘Guest Chef’, Laura (she makes very classy cakes! ), have been trying out our repertoire on friends. 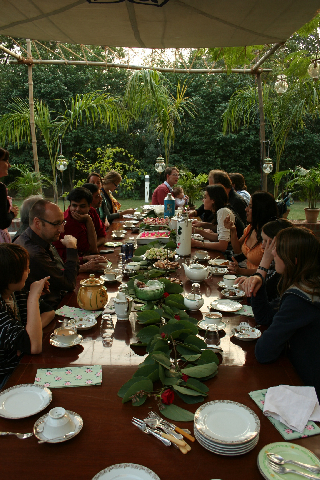 Last Sunday we had a glorious tea for 20 in Laura’s garden. 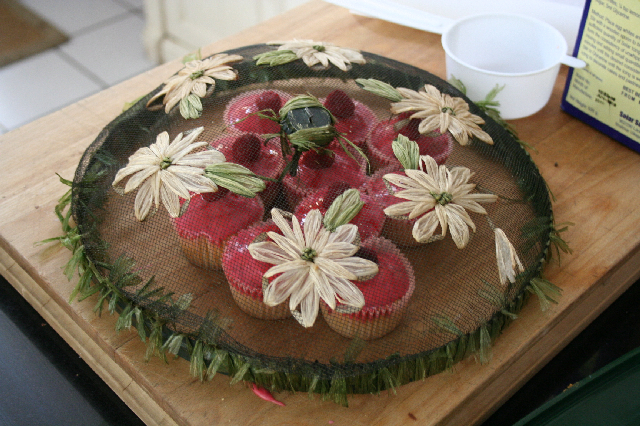 The weather was perfect, the cakes looked gorgeous and the feedback was flattering! 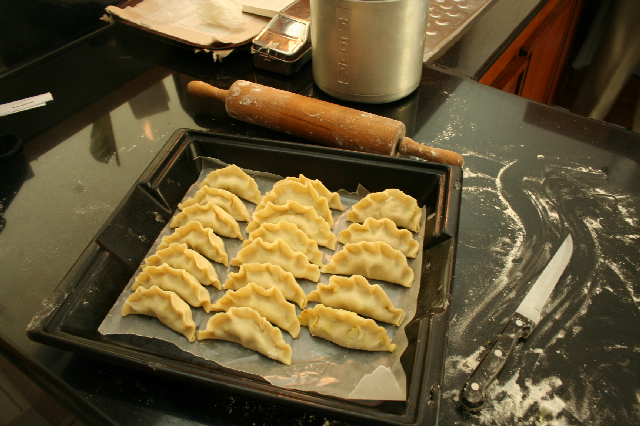 We made curry puffs, mini-uttapam (our little south Indian homage! 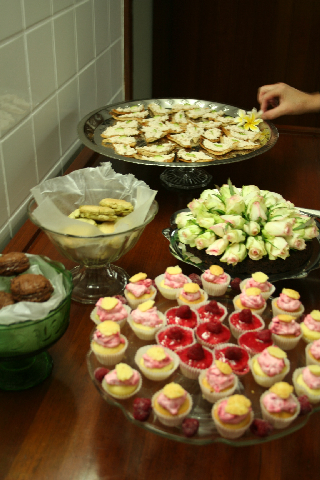 ), cheese pastries, smoked trout toasts, crushed raspberry cupcakes, pistachio and chocolate macaroons, florentines and chocolate cake. I baked for about 36 hours straight but it was worth it to hear the oohs and aahs as we brought out the goodies. We’ll be making even more for ‘Upar-Wali Chai*@ Gunpowder’ on 6th December (in fact I need to crack on with a rum-soaked fruitcake right now!) and with the restaurant’s relaxed ambience and stunning views of Hauz Khas lake, it promises to be an afternoon in sugar heaven! Amazing stuff! Really envy all those who would be there..
good times you all had..
looks like u had a lovely time,…cupcakes look so yum,..
Everything looks wonderful. Would try to keep myself free… what time would it be? what is the cost per head? & what time on 6-dec? What a gorgeous setting for gorgeous food – Laura’s garden as well as the Hauz-e-Khas! Special indeed. Sugato – tea will start at 4 – hope you can make it! 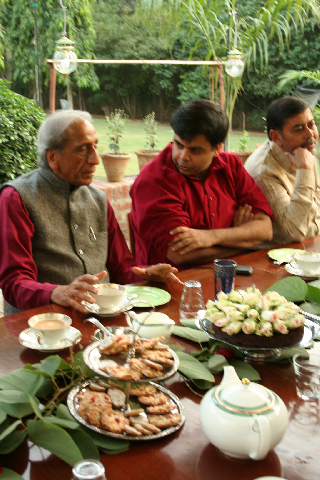 Anu – cost will be 400 rupees per head – for unlimited savouries and cakes! Had a great time on Sunday. Am still drooling over it all! Will spread the word around about the Gunpowder event. Congrats on a job well done, Pamela! The spread looks so tantalizing, I’m just going to have to run to my closest cake shop (here in downtown Melbourne) and get a dose of local decadence!